Do you remember getting sick as a child? Chances are, it was a much different experience than getting sick as an older adult. You might have memories of your mom pouring you ginger ale and serving you homemade soup as you listened to the radio or watched reruns of your favorite cartoons. If you were a healthy child, you most likely were able to bounce back after a day or two and return to school. For seniors, it is harder to recover from an illness. After all, a simple cold can escalate into pneumonia, and the flu can be deadly. By receiving the important vaccinations for older adults, you can armor yourself with the protection you need to fight off germs before they take a toll on your health. 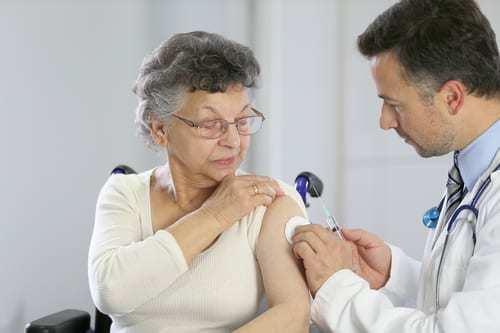 As an older adult, it is extremely important to get a flu shot. While it is true that you can still get the flu even if you’ve had the vaccination, it reduces your risk of getting the virus by 40 to 60 percent (source). During winter 2017-18, more than 80,000 Americans died of the flu, which is the highest number in over a decade (source). Out of that number, 90 percent of those deaths were people age 65 and older. However, the flu also killed 180 young children and teenagers last year, which is more than any other year since the Centers for Disease Control and Prevention (CDC) began monitoring the illness. By getting the flu shot, you are protecting yourself, your peers, your children, and your grandchildren. Unlike many other important vaccinations for older adults, this one needs to be administered annually to be effective. Did you have chicken pox as a child? If so, you should get a shingles vaccine. Research that began in the 1950s has shown that when you recover from childhood chickenpox infections, the virus still remains latent in nerve cells. Although the cause of reactivation remains unclear, it is possible for the virus to appear later in life in the form of shingles. One in three people will get shingles during their lifetime, and at least half of all people 85 and older have had the ailment (source). Although shingles aren’t contagious, you can still spread the virus to others, which can result in a chicken pox outbreak. One way to avoid this common ailment is to receive the shingles vaccine. Pneumonia is a common illness among the elderly, but luckily you can safeguard yourself against pneumococcus (the bacteria responsible) with the help of the pneumococcal vaccine. The CDC recommends that everyone age 65 and older get vaccinated against the pneumococcal bacteria. This vaccination can also protect your body from meningitis, ear infections, bloodstream infections, and sinus infections caused by the pneumococcal bacteria. As with any vaccine, it is important to talk with your doctor about the risks associated with the pneumococcal vaccine. This vaccine is very effective, however, and most people only need it once. The next time you visit your doctor, be sure to discuss important vaccinations for older adults. With a few proactive steps, you can protect your own health and the health of those around you. 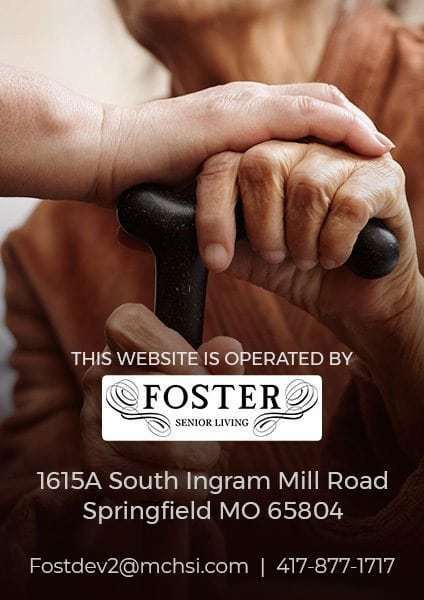 Are you looking for a community that provides a positive, healthy atmosphere where you can live out your golden years? 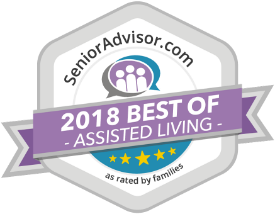 The Shores of Lake Phalen is an assisted living community in a quiet, peaceful environment in Maplewood, Minnesota. Surrounded by a gorgeous wooded setting between two lakes, our residence offers the accessibility of apartment-style housing with the atmosphere and elegance of a resort. Thanks to our team of dedicated staff members, residents enjoy a carefree lifestyle, without the common worries of running a household. We offer numerous health and safety amenities, fun events and activities, a friendly and accommodating staff, and so much more. Schedule a tour of the community to explore our spacious apartments, elegant dining room, and more. We look forward to hearing from you!